Sometimes quiet shows make big waves. Fun Home is the story of a lesbian cartoonist reflecting on her childhood in a small Pennsylvania town and on her relationships with her mother, brothers, and enigmatic father. 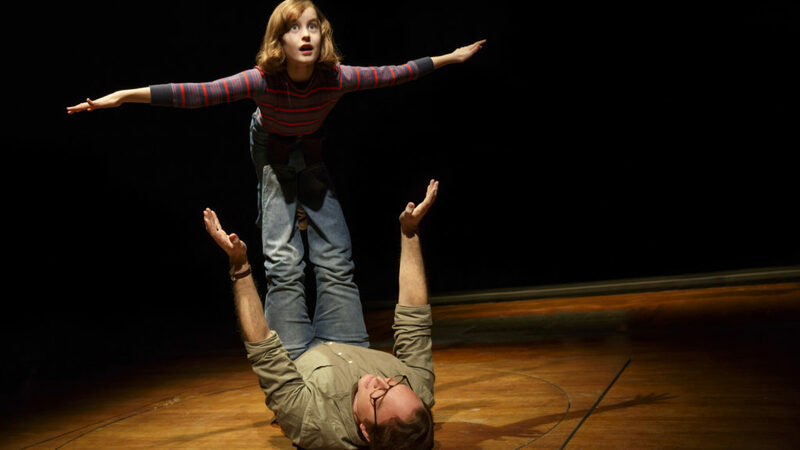 As Fun Home enters its final week on Broadway, we take a look back at the barriers broken by this unique and affecting musical about growing up and letting go. Fun Home is a deeply personal yet widely reaching story about love, loss, and family. 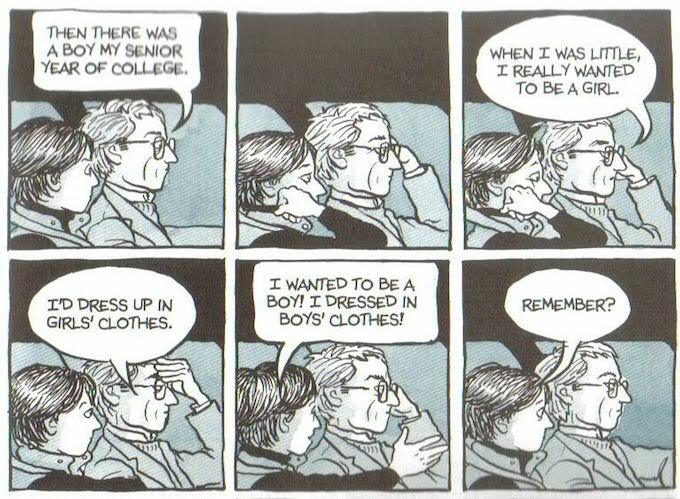 The source material is Alison Bechdel’s bestselling autobiographical graphic novel, Fun Home: A Family Tragicomic. If you’ve seen the show and read the graphic novel, you will know that many scenes come directly from its pages. The powerful memoir served as the inspiration for Jeanine Tesori and Lisa Kron to begin their work on what would become the 100 minute musical drama, Fun Home. The initial development of the show began in 2009 at the Ojai Playwrights Conference, with Jeanine Tesori as composer and Lisa Kron writing the book and lyrics. It was then workshopped in 2012 at the Sundance Theatre Lab. 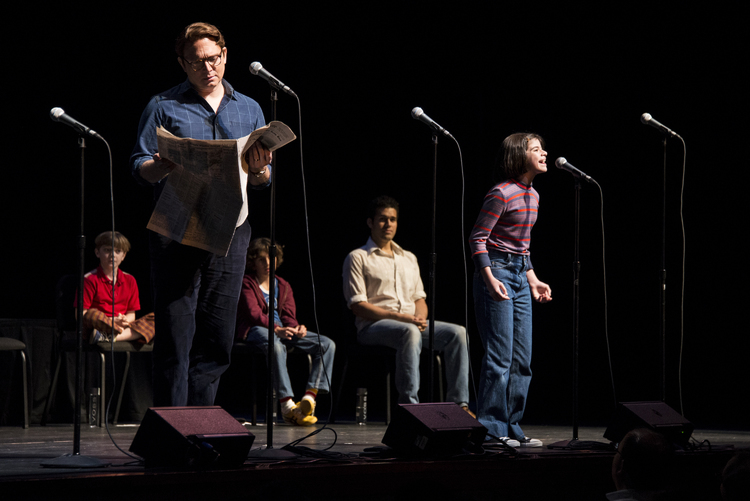 Following further revisions at The Public Theater’s Public Lab, Fun Home premiered Off-Broadway in September 2013. It was extended multiple times and ran through January 2014. 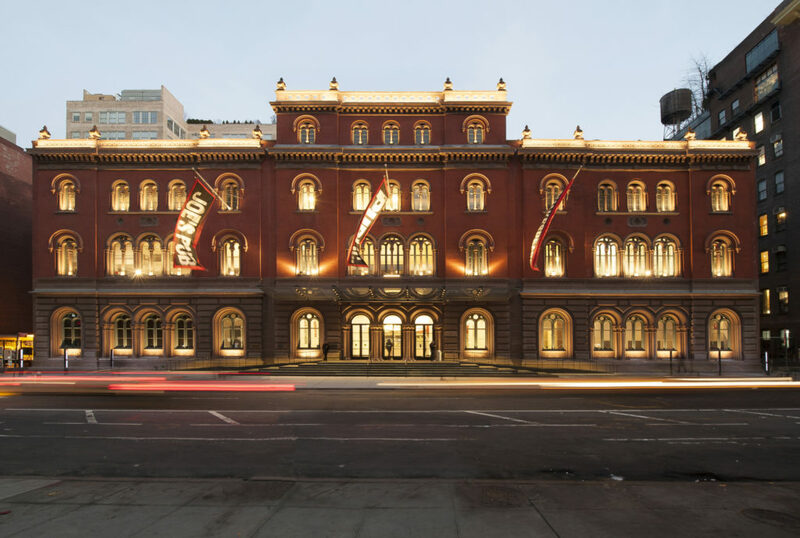 Directed by Sam Gold, the cast was led by Michael Cerveris, Judy Kuhn and Beth Malone, who remained with the production when it transferred to Broadway in April 2015. Receiving praise from both critics and audiences alike, the production was nominated for numerous awards, even becoming a finalist for the Pulitzer Prize for Drama. At the 2015 Tony Awards, Fun Home took home Best Musical, Best Book of a Musical and Best Original Score; making history as the first all- female writing team to win these categories. Sam Gold won Best Director of a Musical, and Michael Cerveris won Best Leading Actor in a Musical for his gripping portrayal of patriarch Bruce Bechdel. Following the Pulse nightclub shooting in Orlando, Florida, the cast of Fun Home flew to Orlando on their day off for a special one- night- only benefit performance of the show. Over $100,000 was raised for Equality Florida and the LGBTQ community of Orlando. Read about the impact of the experience in this emotional New York Times piece written by the show’s star, Michael Cerveris. The first mainstream musical with a lesbian protagonist, Fun Home took audiences on a heartbreaking journey that reflected the worst and best of themselves. Staged in the round, this intimate show had the rare ability to transcend the specificity of the story it tells to connect people to one another on a universal level. A transformative narrative about looking back and moving forward, assuaging the pain of the past and restoring our hope for the future, we won’t soon forget our trip to Maple Avenue. Fun Home plays its final Broadway performance this Saturday, September 10 at Circle in the Square Theatre. Thankfully, we can be sure that the show will live on as the national tour launches this fall. Stay tuned how to get tickets in San Francisco and Los Angleles on TodayTix.